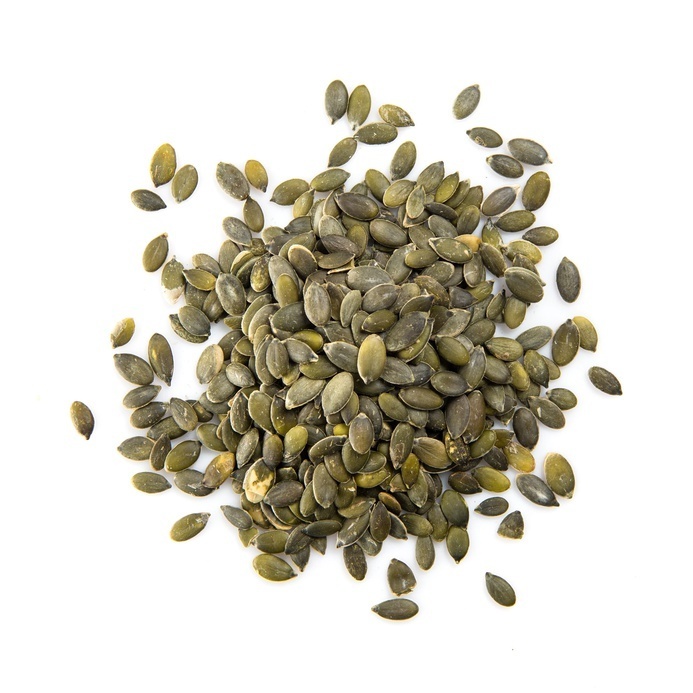 Pumpkin seeds, also knows as pepita, are very nutritious. These seeds are a good source of protein, as well as iron, zinc, manganese, magnesium, phosphorus, copper and potassium. 25 grams of pumpkin seeds can provide over 20 percent of the recommended daily iron intake. Pumpkin seeds are great in home-made muesli, or ground up in waffle batter. They are also very popular toasted and sprinkled over salads.